The Ricoh MP C4504ex is a color multifunction laser printer. It comes with different accessories so you can choose the configuration that fits your business best. We focused on the base model, which is targeted at mid-sized workgroups. 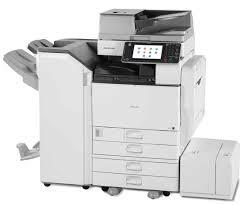 A multifunction machine allows users to copy, print, scan and fax. The MP C4504ex stores 1,200 pages, but this can be expanded to 4,700 sheets using optional paper trays. 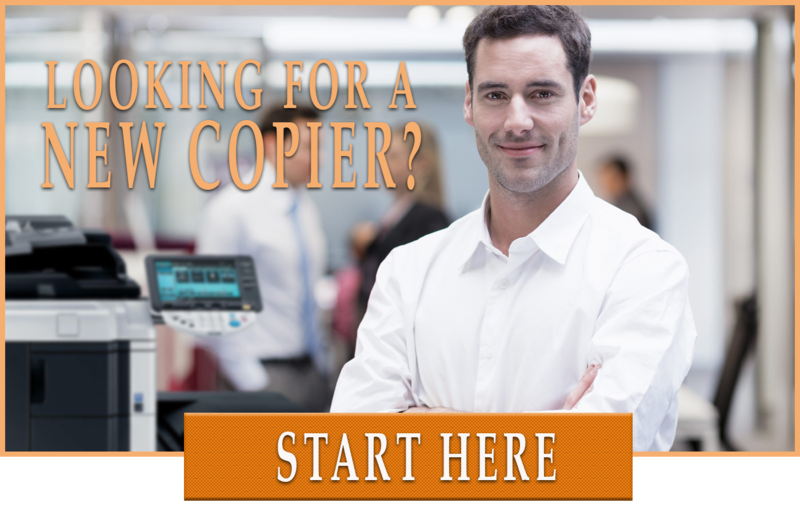 It prints and copies at a fast 45 pages per minute in both black and white and color. Total warm-up time for the MP C4504ex is 24 seconds, and the first page out takes less than six seconds. The MP C4504ex is packed with design touches that help users easily navigate the machine’s menus. To scan documents, users can use a built-in, one-touch workflow. Shortcuts are all customizable, which can speed up daily, repeated tasks. The machine comes with a 10.1-inch touchscreen (standard), which is larger than the touchscreens of most multifunction printers we evaluated. And, like everything else with this copier, the home screen, too, is completely customizable. Users can decide which apps or widgets they want to see. Good: Improved touchscreen control panel, versatile paper-handling features, optional Fiery controller..
Bad: PostScript is only optional. Bottom Line: New color MFPs with strong features for the small-to-medium offices. An obvious setback is price – the MP C4504ex may be too expensive for many smaller businesses. But larger businesses that print a lot of materials – schools, law offices, design firms – may appreciate the ease of printing professional-looking jobs in-house. 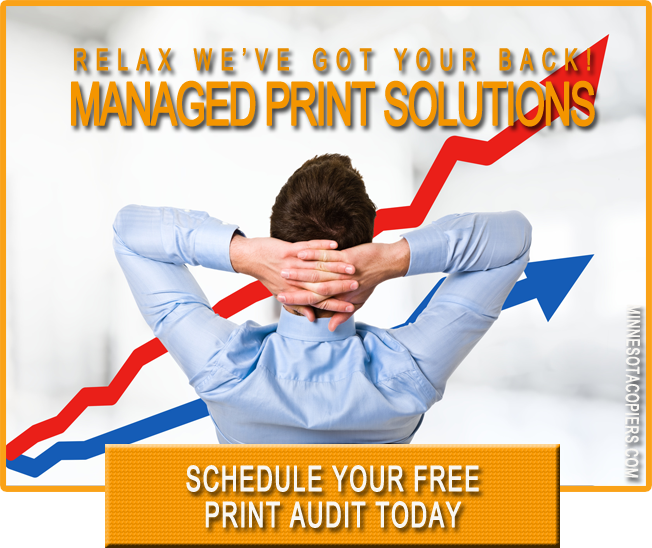 And with a managed print services option (leasing), toner, maintenance and paper can be bundled at a reasonable cost. Why be oversold? Get exactly what your business needs. Get a NO obligation qoute.